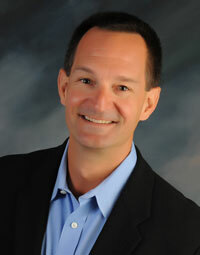 Christopher is the Managing Partner and the founder of Growth Strategy Partners LLC. It is Christopher’s passion for building successful businesses, his sense of humor, critical thinking skills and methodological approach to solving complex challenges that has made him very successful and sought after by his clients. Since the early 1990s, Christopher has been focused on researching and quantifying the practices that have proven to grow businesses both large and small. It is through this research and his business experience that he identified the 7 Keys to Growth which he and his firm uses to successfully advise clients on the practices that they should focus on to grow their businesses. Christopher is recognized for his knowledge and experience in growth strategy development, sales and marketing effectiveness, performance management systems / Balanced Scorecard, process improvements both on the plant floor and in the office, product development and executive coaching. He was instrumental in reshaping Inc. Magazine’s consulting practice where much of his initial research was developed. He spoke at Inc. conferences and seminars on the topics of Developing Effective Growth Strategies and Linking Business Strategy to Technology Strategy while also advising clients. He was also a founding member of PricewaterhouseCooper’s Northeast Middle Market Consulting practice. In addition to developing these consulting businesses, Christopher was a consultant with Deloitte Consulting and lead Grant Thornton’s business process reengineering practice. His articles have been published in local and regional journals. Prior to his consulting career, Christopher spent 7 years in industry where he co-managed a 120-person medical products research and development group, lead the engineering department for a textile machine design company and was a manufacturing engineer implementing modern manufacturing techniques for companies in a range of industries including Sturm Ruger in the firearms industry. Christopher has an MBA from Northeastern University’s High Technology MBA Program and a Bachelor of Science from Worcester Polytechnic Institute in mechanical engineering. He coaches a girl’s soccer team, is on the Board for Marshfield Youth Soccer and is President of the FBI Citizens Academy Alumni Association in Boston. Chris enjoys motor boating, hockey, IDPA and IPSC shooting, and trying to stay healthy, yet is most happy enjoying life with his wife and two daughters.